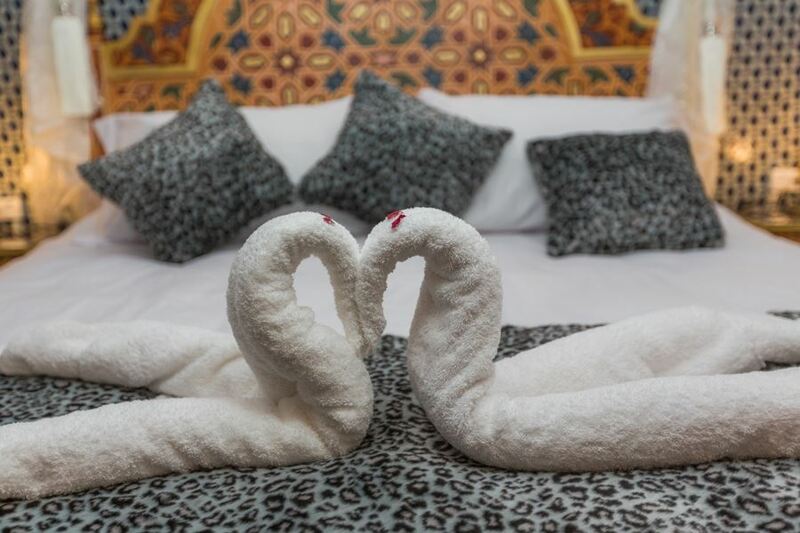 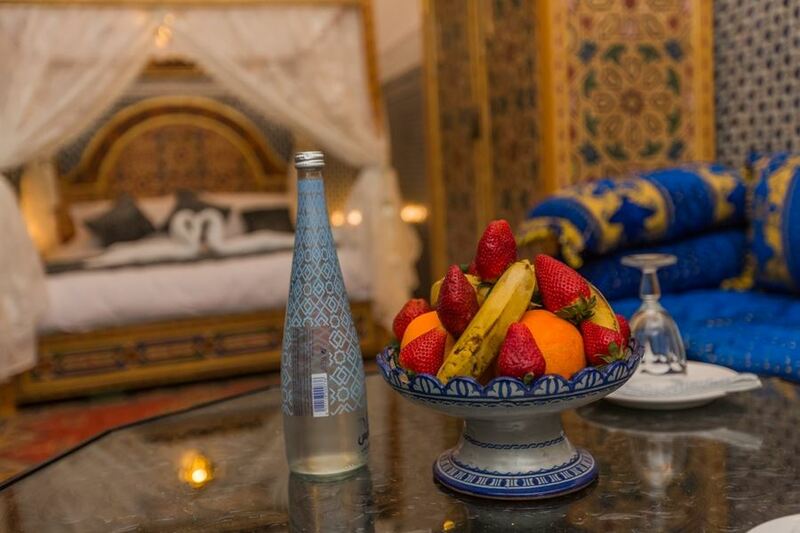 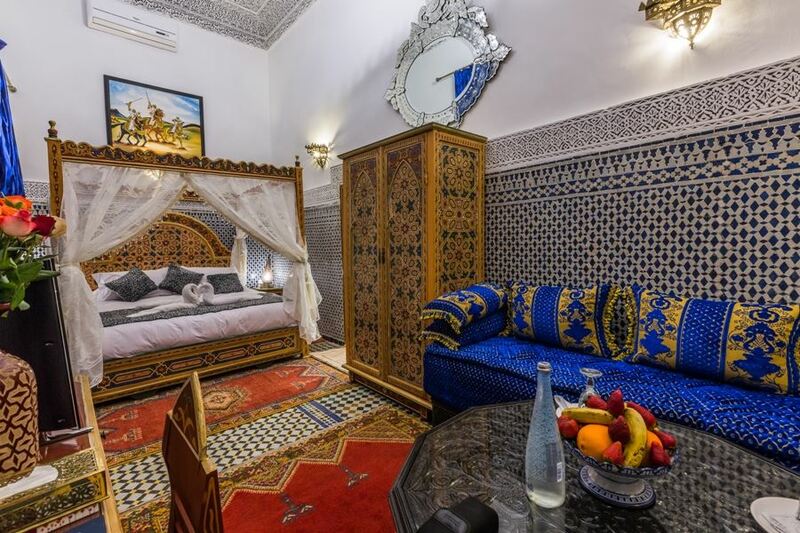 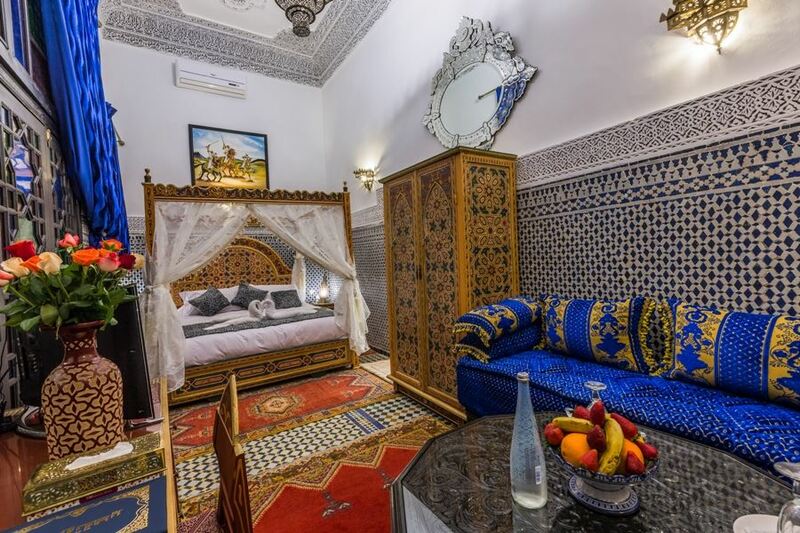 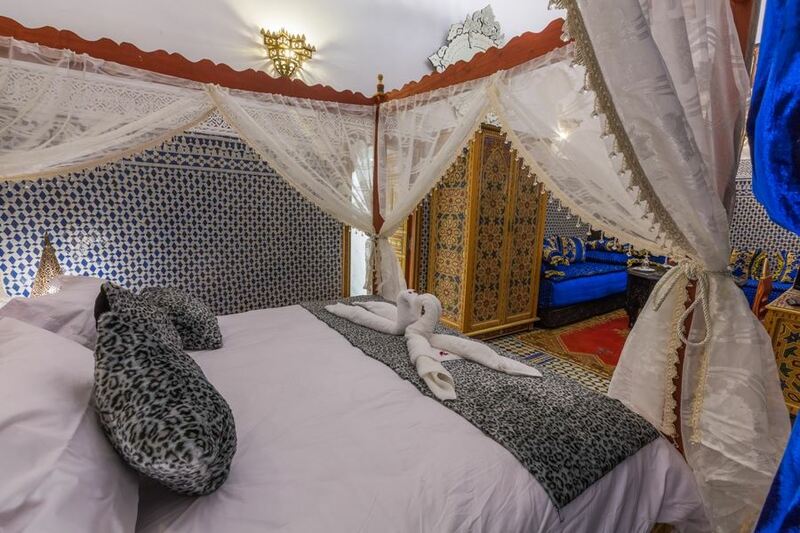 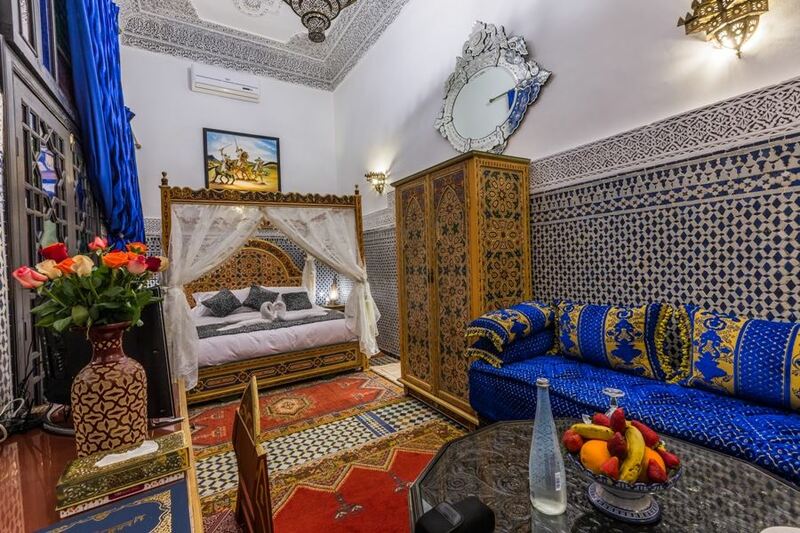 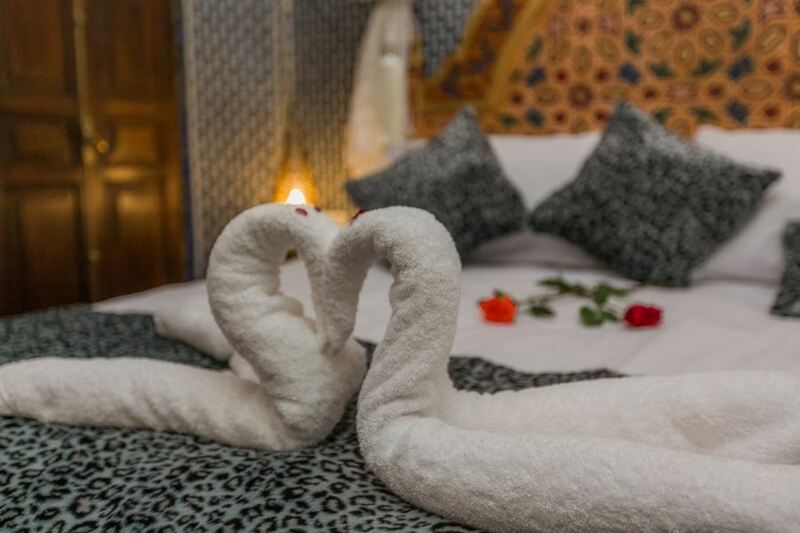 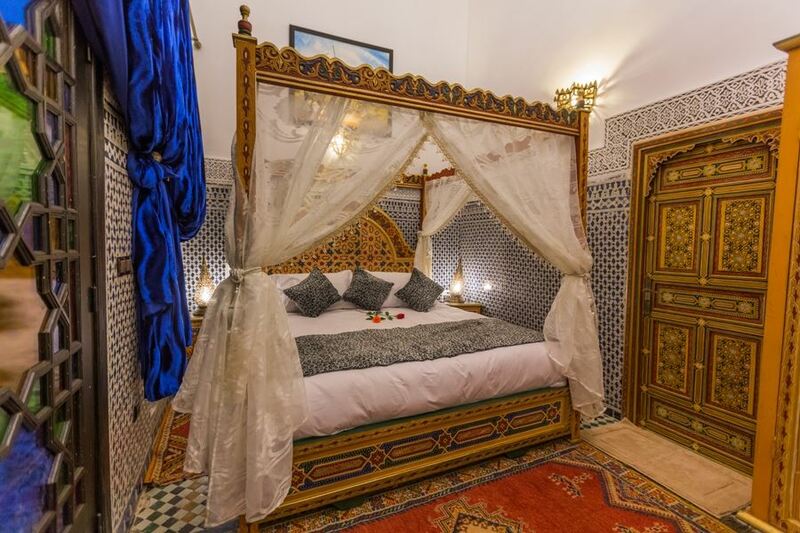 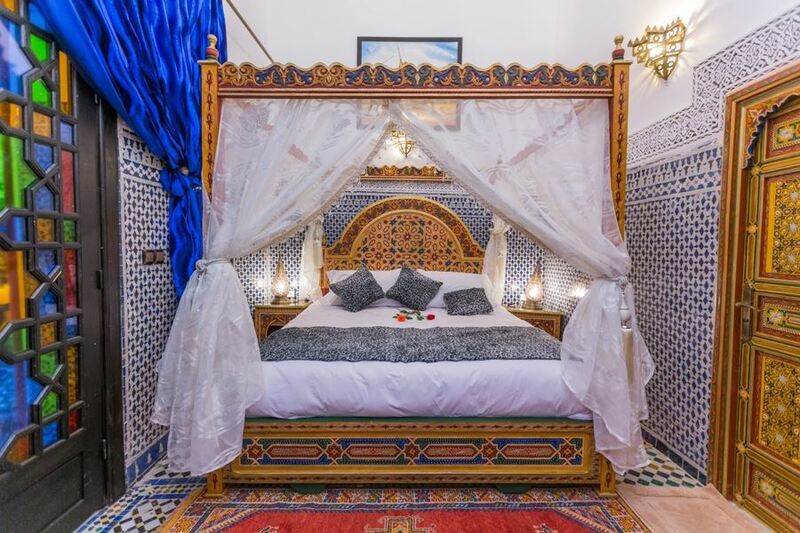 SUITE BTISSAM , located on the ground floor, open on the patio of the Riad, spacious and quiet. 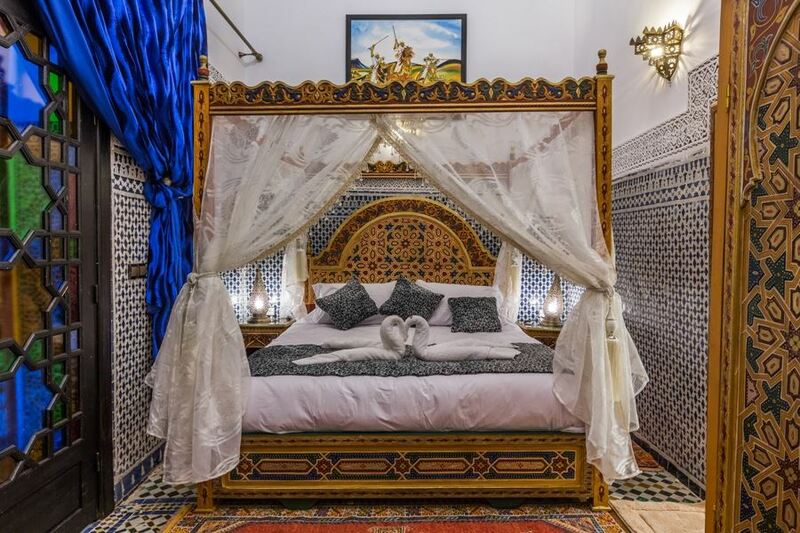 The ceiling in carved stucco, beautiful chandelier in solid bronze, wall, ground in blue mouzaique of fés, the traditional bed with Amariya carved cedar wood and painted, a traditional lounge area with the charm of Fés with colorful Iraqi stained glass Windows. 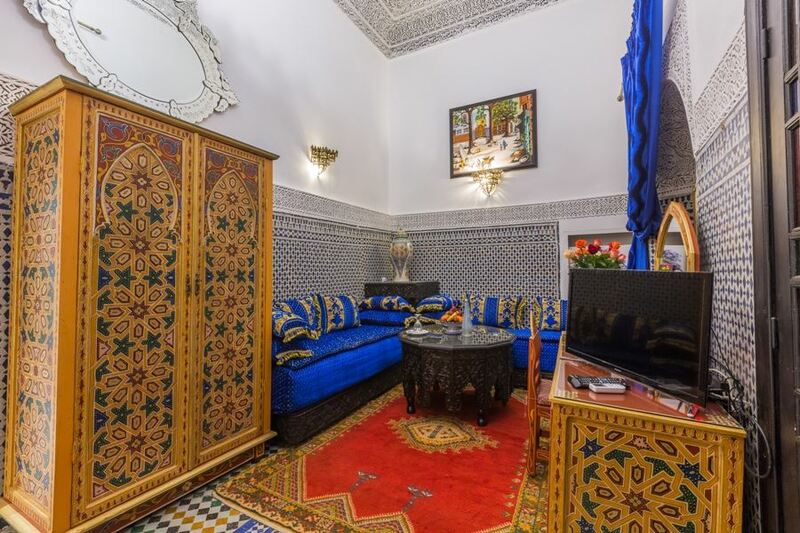 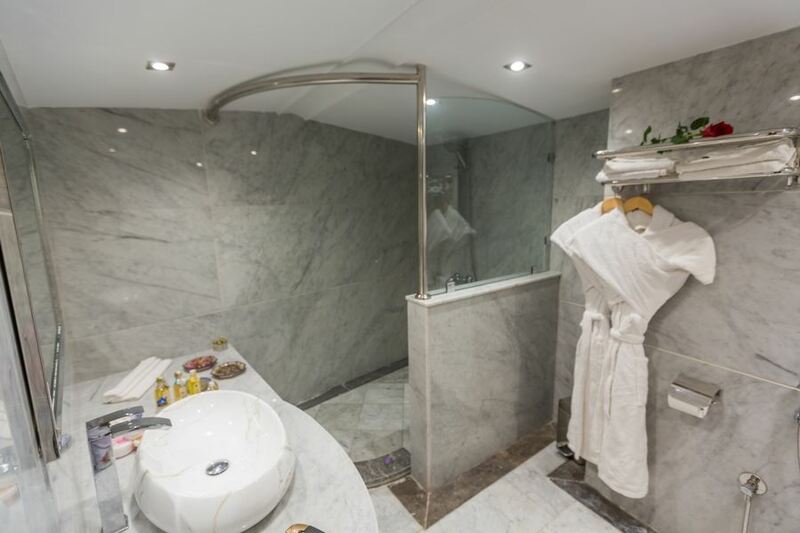 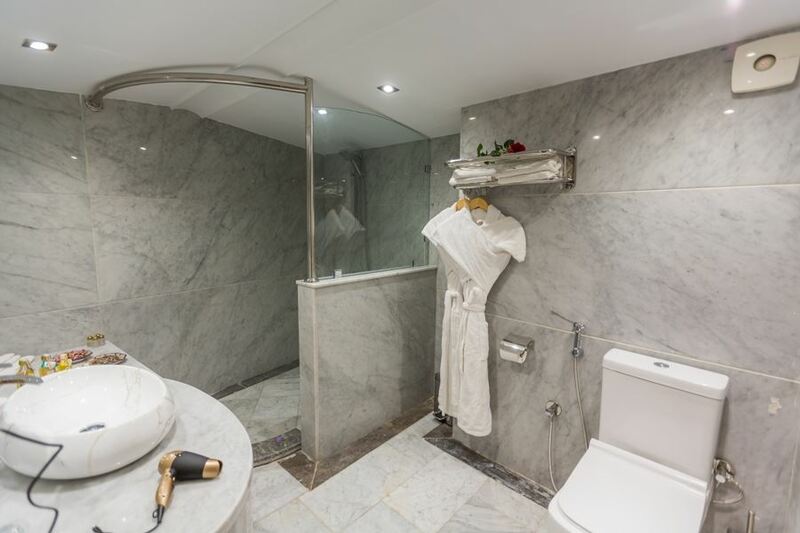 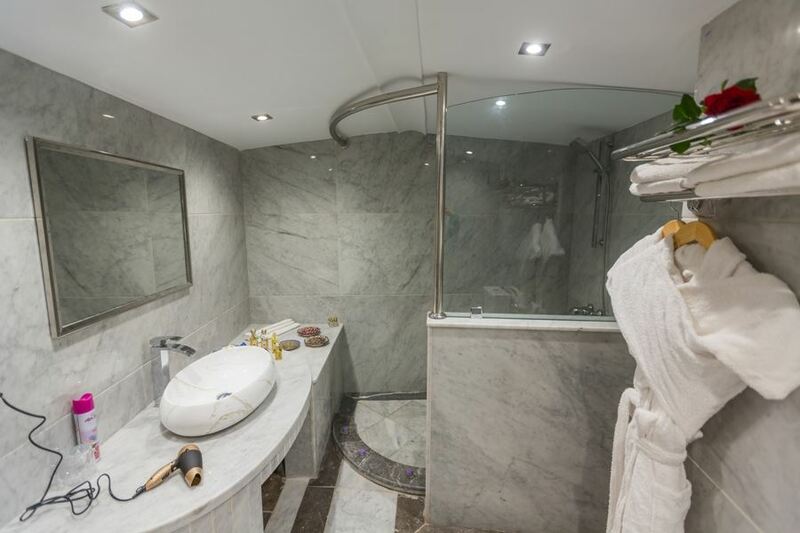 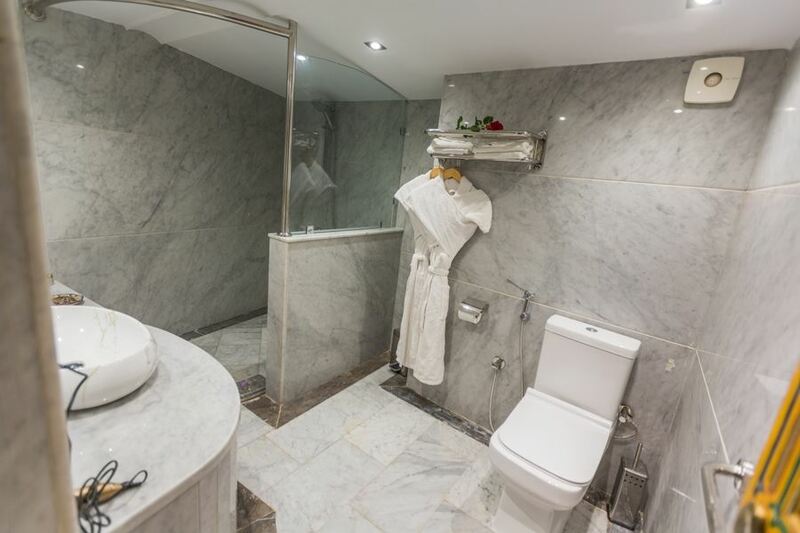 the air-conditioned suite has a high-speed WiFi satellite TV, safe, equipped bathroom.